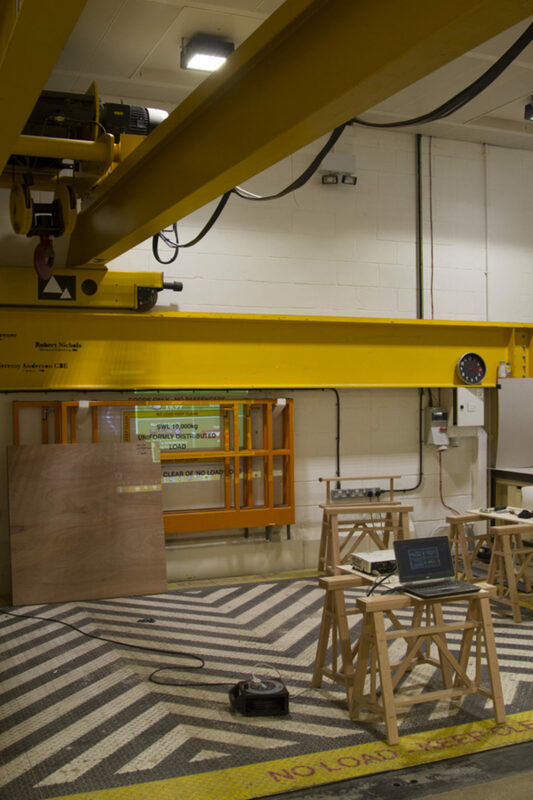 The Institute of Making is a 'research club' for people interested in the made world: from the tiniest molecules to enormous structures, and cutting-edge processes and technologies to ancient crafts and techniques. 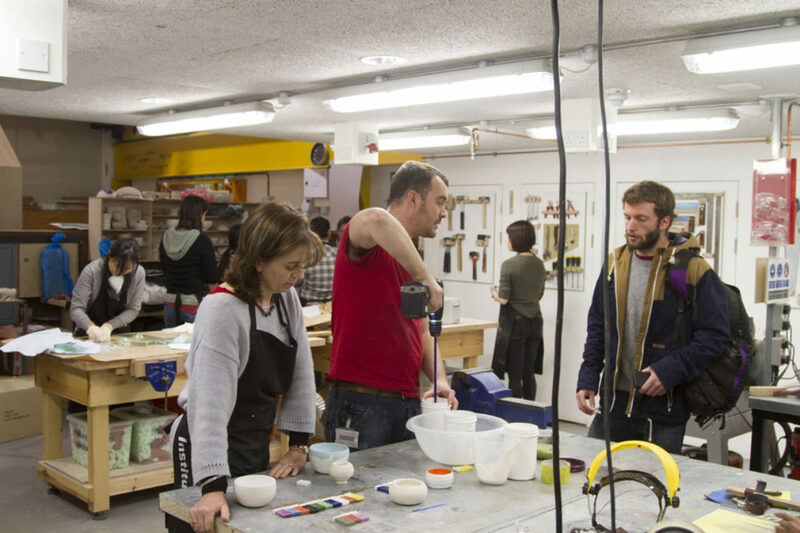 Through talks, classes and public events, the Institute of Making mixes academic research and hands-on experience to celebrate "the sheer joy of stuff". 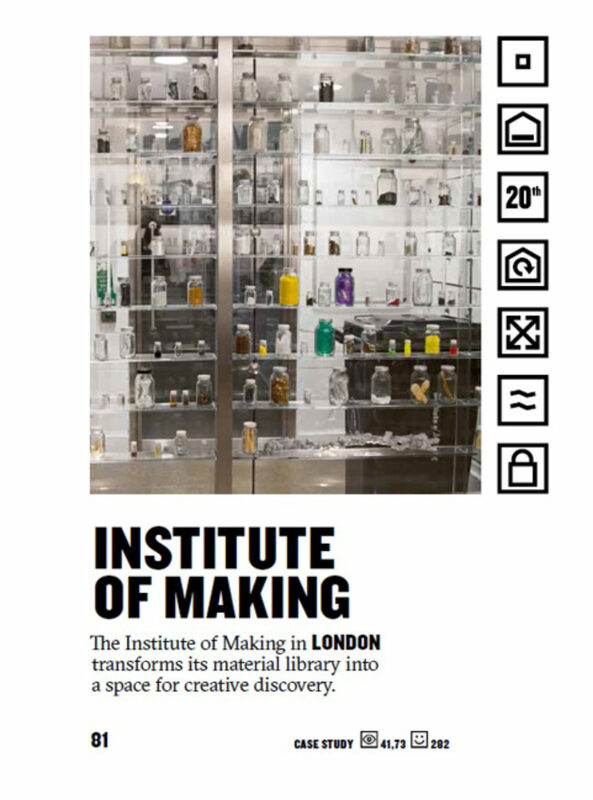 The Institute of Making opened within University College London (UCL) in March 2013. The aim was to transform a dormant 'materials library' into a more dynamic entity, where the act of making and an appreciation of materials is championed through multidisciplinary activities that support the teaching and research communities at UCL; and through the creation of a place that encourages play and personal research and development. 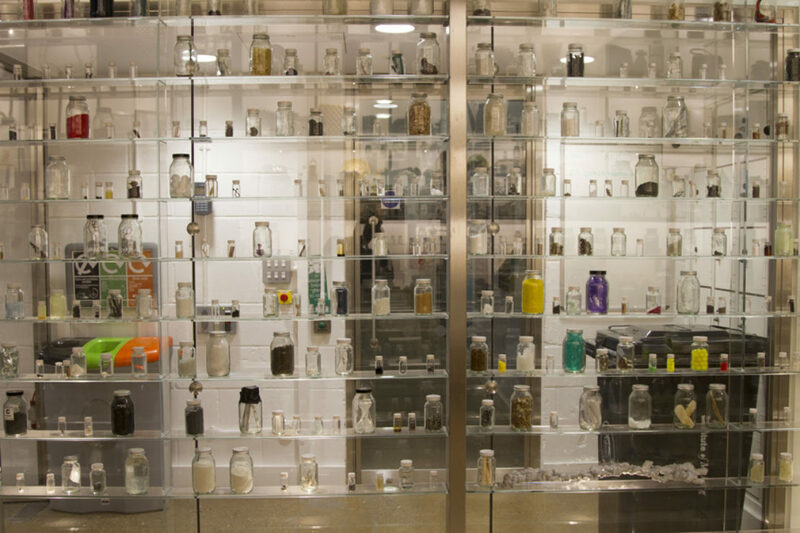 The Institute's Materials Library has become a growing repository for some of the most extraordinary materials on earth. It's an invitation to explore anything and everything, from aerogels (the world's lightest substance, invented by NASA for catching space dust) to zebra fish (which can regenerate tissue and cells after damage); and from coal to superalloys. The materials have been gathered together to "fire the imagination and advance conceptualisation". They inspire part apothecary fascination, part sweet-shop excitement. The Institute also houses a fully equipped workshop and technical training facilities. Open to all UCL staff and students, its membership now exceeds 2,600. Members with an eclectic mix of backgrounds and disciplines work side-by-side, with the arts, literature and anthropology colliding with science, engineering and architecture. Zoe Laughlin, co-founder and creative director, is herself from an arts background. She wanted to share the thrill she experienced when she was first introduced to a substance that blew her mind: "I was used to making things, used to materials. But when a materials scientist showed me aerogel, I realised that even though I couldn't actually make anything with it, it was still fascinating and what I could do was communicate its story." Materials and the skilled community that makes them into objects, products and technologies are a defining part of society, with far-reaching historical, cultural and economic effects. However, as Laughlin explains, despite their co-dependence, the materials research and making communities are rarely brought together in universities. "The scientists involved in designing new materials (physicists, chemists, materials scientists) are separated from those who study the cultural and environmental significance and impact of materials (humanities scholars and social scientists); and are often further distanced from those who do the making (medics, engineers, architects, designers, artists), who are themselves separated from each other by disciplinary boundaries." 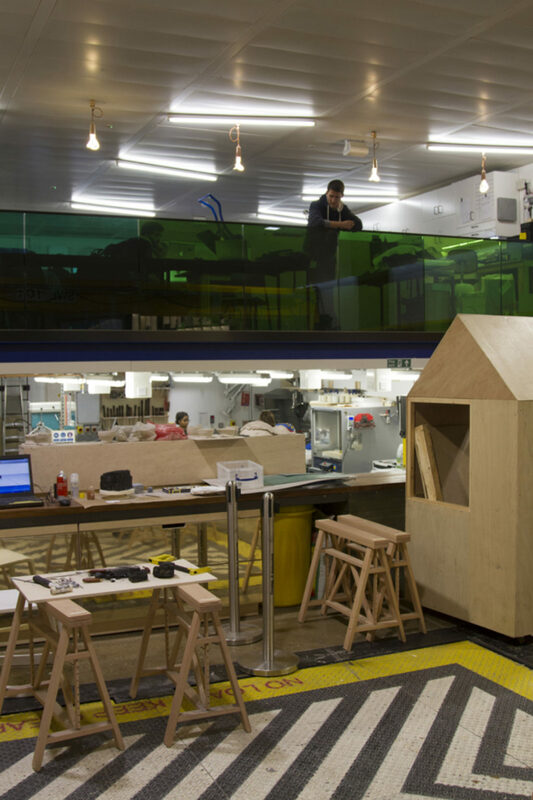 The Institute of Making does not belong solely to one academic discipline, but is open to them all and encourages conversations between them. Alongside the Materials Library collection is the MakeSpace: a workshop where members and guests can make, break, design and combine both advanced and traditional tools, techniques and materials. These facilities are supported by an events programme that includes topics from blacksmithing to animatronics and flintknapping to pyrotechnics. At any given moment you might find: a computer science professor using a laser cutter to repair a robot he uses for teaching; a language undergraduate using the Materials Library for a coursework project on 'stickiness'; an architecture student spending an entire week building a wind turbine while learning the electronics skills from a fellow colleague who is making a watch; or a themed series of events on 'carbon' where people can toast marshmallows (and begin to learn the science behind it), discover (and taste) the difference between different varieties of charcoal, and examine the carbon footprint of buying locally sourced produce. The space is designed to make people feel comfortable to try new things. "We want to encourage people to make the transition from contemplating a material sample to understanding it in a different way by formulating something with it in the MakeSpace zone," says Laughlin. "It is in that crucial moment when a practical hands-on appreciation of the different material processes is gained and new modes of enquiry open up." 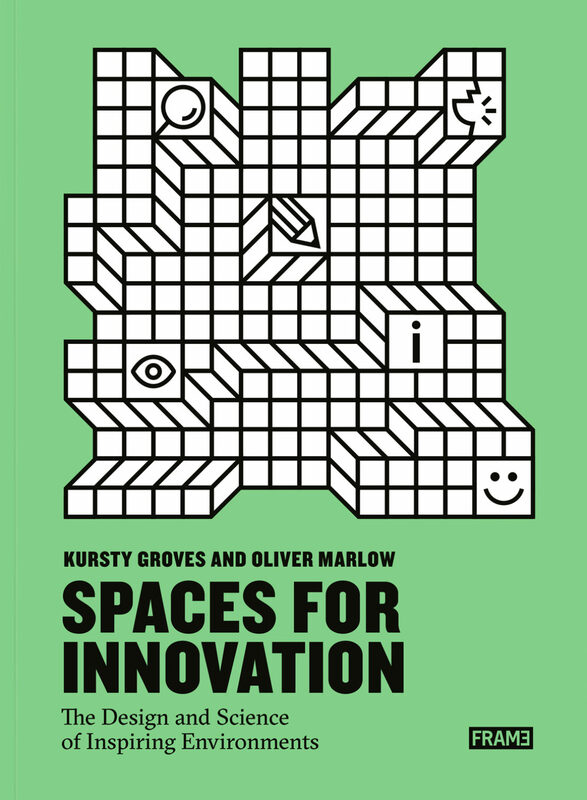 A by-product of creating a physical space that is shared by people with different disciplinary backgrounds is that a multidisciplinary community has formed. Members who share common passions find that they teach each other techniques and approaches to making and materials.